In a world where humans are nonexistent, enter androids that fight machines of old. 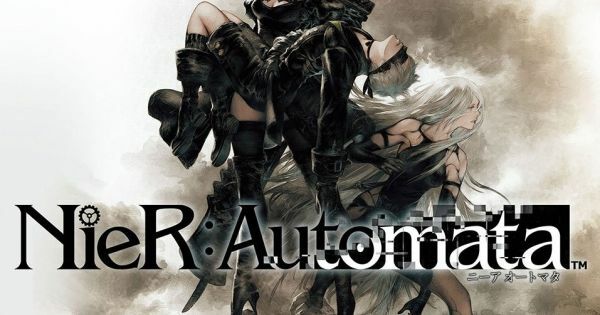 Nier: Automata is set to take control as its own story in the series. A fast paced, dark, gritty, and deep thinking game. Nier: Automata is a game that sets a high tone for Square-Enix. Perhaps, even be a big game for 2017. The Nier: Automata demo doesn’t reveal much to the player. Immediately you are tasked with Destroying the Goliath Weapon. Goliath’s are high class machines that have evolved to being self-intelligent. 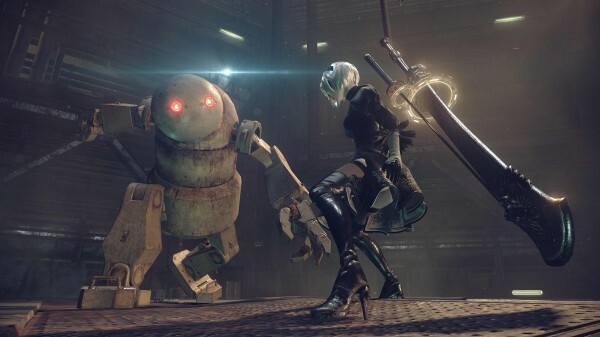 The player controls 2B, the main character for Nier: Automata. An android with a calm attitude and almost cold demeanor. An interesting mechanic added into Neir, is difficulty level determining more than just the toughness of enemy A.I. The lock-on feature is available only on easy and normal difficulty settings to aid lesser experienced players. Thus making things a greater challenge on harder difficulties. Similar to the first game, Nier: Automata encourages you to play multiple times in order to understand the story and its characters. At least the menus help players understand things they may have missed. Players once again experience things from a bird’s eye view. Once it changes from the starting open world setting that is. The camera angle actually helps players in getting a better view of incoming enemies. Dodging enemies is a little difficult from this angle. But this is something you can sidestep by attacking quickly. There’s also a unique section where Nier: Automata turns into a platform side scroller as well. In these moments, pods are majorly useful, due to aiming becoming incredibly easy. Nier: Automata is a fresh and exciting experience. It tries to take the best from the previous game and improve upon it. Nier: Automata certainly looks to achieve a strong place in my heart. Especially, in terms of memorable story and characters. The ending of the demo leaves things on a cliffhanger, which has me on the edge of my seat. My heart is already feeling for the character’s impending struggles. Throw-in the hectic battle system and there’s a combination that can bring buyers to the table. What stands out is how smooth and different it feels from normal hack and slash games. This is a game that has quite high expectations, and personally, I feel that the full release of this game can meet them.